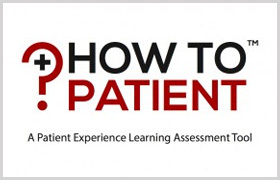 “How to Patient” is a Patient Experience application learning tool. The application is both web based and has an mobile app version. Courses can be completed using either version. The application emphasizes provider/patient communication. The application highlights key portions of the patient provider interaction from “Prior to entering the room” to the “Physical Exam” to the “Discharge Process” and the communication that needs to happen after the patient goes home. Under each section, the user has the option to read or watch a video, and take a knowledge assessment exam. After successful completion of all the quizzes, the user gets emailed a certificate of completion and their “teacher” is also notified. An access code is needed to demo the application. Please send me an email to request an access code. As a new attending several years ago, I wished that I had more training on how to effectively communicate with patients and their families. 4 years in medical school and several more years in residency helped sharpen my medical acumen, but left a void that I would have to fill while on the job. No one forewarned me that once you become an attending, the emphasis shifts from medical training to a foreign concept :”Patient Experience”. No one told me that communication is at the root of most bad outcomes, lawsuits, and Physician job dissatisfaction. I want to teach Physicians how to effectively to communicate with patients and their families. I believe that such training needs to start at the end of the second year of medical school, as soon as the student is about to start their rotations. That training needs to be reinforced on a monthly basis until medical school graduation and throughout residency. To that end, I want to provide a proven training tool that can be easily deployed. My howtopatient application has been successfully used by a large hospital system for the past 3 years. 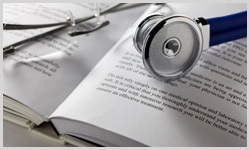 The application has been used to train new and existing Physicians. The application has helped maintain the patient satisfaction scores in the 90th percentile (up from the 30th percentile prior to this training program being implemented) and has had several rave reviews by physicians and administration alike.